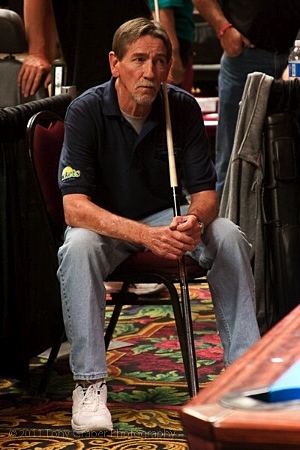 When I was a kid of maybe 10 or 11 years of age, my dad took me with him into a pool hall one afternoon. He ask if I'd like to try playing, and of course I was thrilled. The sound of the balls clicking around the table and being racked in that old wooden triangle completely captured my attention. From that point on, I've loved the game. Growing up, I wasn't able to play much and was pretty much self taught. I love to play and will continue to do so until I'm too old to shuffle around the table. My wife Marlene and I have played league pool off and on for the past 20 years. While raising a family, we didn't get to play as much as we would have liked, but always enjoyed it. Well, there's an ever so slight possibility that Marlene doesn't enjoy it that much when we play scotch doubles. Perhaps that's why she reminds me to have cab fare just in case. Woodworking has always been another passion that consumed much of my time. Everything I build is with the idea that it will be around long after I'm gone. High quality pieces can only be achieved with exacting standards, old school joinery and dedication to craftsmanship. Any good craftsman will tell you that perfection is what drives them but is seldom achieved. Perfection is very illusive and it's what keeps me going. With each new project, perfection is the goal. While coming close, I not sure that there's any such thing as creating a truly perfect piece. For years I worked in my little 10x32 foot shop, building whatever I could, given the space I had to work with. In that little shop I built everything from grandfather clocks to small pieces of custom furniture, and yes even a few pool cues back in the early 80s. Since I didn't have the right equipment back in the old days, the pool cues were very time consuming and just didn't meet my expectations. In the end, most of them were less than desireable and simply became firewood. Hey wait a minute, maybe they would have made good walking sticks! On well, too late now. Marlene started me on the idea of building a bigger shop (probably so she wouldn't have listen to my whining about the little one being so cramped). Anyway, we started measuring and talking about how much room would be required to build the perfect shop. After considering all of the options, budget, etc., we decided we could build a shop large enough to do custom furniture with plenty of room to spare. Well, with plenty of room to spare, I figured that if I partitioned the building off, I could have the shop in one end while having a pool table in the other. It didn't take much persuading to convince Marlene that it was a good idea. To make a long story short, we started construction and before you know it we had a nice new building with a shop in one end and a pool room in the other. Since I had always wanted to build a pool table, a 9 footer was to be one my first projects after moving into the new building. We decided what we wanted it to look like and I started designing and built it from scratch. Of course, more equipment was needed to build the pool table and the shop was all of the sudden getting smaller. I got the pool table finished, built some chairs, tables, a cue rack and all of the other stuff that makes a pool room complete. Ok, cool, we have a new shop with a nice pool room right through the swinging doors. It doesn't get any better than that. After buying yet more tools and equipment, guess what, the shop is too small to build large furniture! I sat there and looked around and decided it was the perfect size for a cue shop. So, after convincing Marlene that with only a couple new lathes and such, we could build cues. I'm not exactly sure, but maybe just maybe, a cue shop was in back of my mind all along and I just didn't want to admit it. Anyway, I started building and was pleasantly surprised to find that people liked and wanted to play with my cues.